Our spacious and comfortable Motel Rooms are well appointed for corporate guests and leisure travellers. 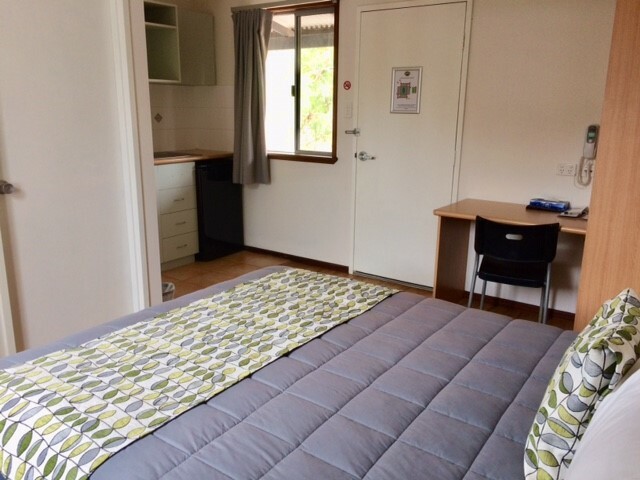 Available as double or twin share with ensuite, all with airconditioning, colour TV, limted free WIFI, ISD & STD telephones, tea & coffee making facilities, hairdryer, iron and ironing board plus undercover parking. Room service is available from 6pm to the motel rooms. Wheelchair access facilities are available if required, featuring a spacious room with a ramp and accessible bathroom. Please inform reception if you require this type of accommodation.